You'll love my Ricotta Chocolate Chip Cake! It's a delicious blend of ricotta, mascarpone and chocolate, stuffed between two layers of a buttery crust that will make this the best ricotta cake you've ever tasted. You’ll love my Ricotta Chocolate Chip Cake! It’s a delicious blend of ricotta, mascarpone and chocolate, stuffed between two layers of a buttery crust that will make this the best ricotta cake you’ve ever tasted. If you’re looking for that extra special dessert, a one of kind creation, my Ricotta Chocolate Chip Cake is just what the doctor ordered! It was one of my extended (Italian) family favorites and one I was lucky enough to learn from my adopted Nonna. 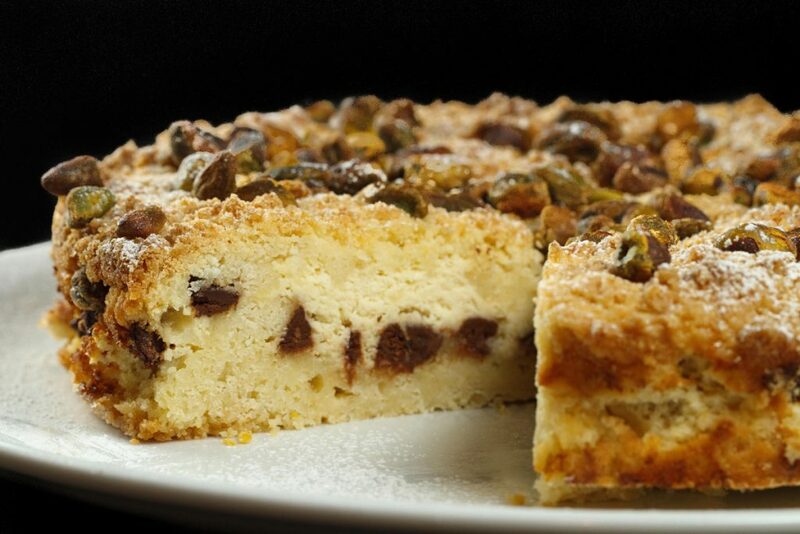 This delicious cake which she called a “Torta di Ricotta e Cioccolata” was served over the Christmas and Easter holidays. But this cake is too good to serve just at those times and would quickly become one of your family favorites. 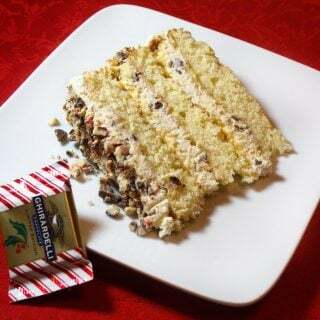 What caught my attention about this torta was the cake itself, I’ve made layer cakes stuffed with cannoli filling before and they were delicious, but they were traditional layer cakes. The difference with this cake was the batter. This cake will seem more like a scone batter, or even a fruit crisp topping than most cake batters you make. But don’t be worried about how it looks before you bake it. You’ll be rewarded with a moist cake, with a delightful crumb and the perfect blend of flavors. 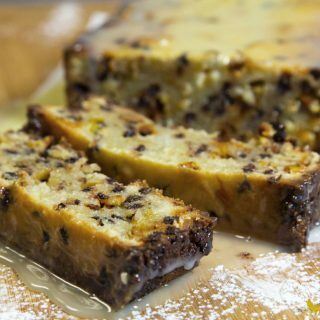 If you’ve tried my Chocolate Chip Ricotta Cake or any other recipe on askchefdennis.com please don’t forget to rate the recipe and let me know how you enjoyed it in the comments below, I love hearing from you! You can also FOLLOW ME on Instagram @chefdenniseats and @chefdennistravels, Twitter and Facebook. Mix the ricotta, mascarpone, egg and sugar using a fork. Torta is best served at room temperature. *Original recipe called for grappa, feel free to use your favorite liqueur. * put the butter in the freezer for 20 or 30 minutes before slicing it. *you can press down the crust on top of the filling but be very gentle, the crust forms as the butter melts, giving the cake that rustic look. Great recipe Chef Dennis and as always excellent advice. Thank you for sharing your blogging tips. Do I need to set the cheesecake into a water bath? no you do not, because it really isn’t a cheesecake. The ricotta is in between two layers of this crunchy dough. The most important thing to remember is not to blend the butter into the flour, use xtra cold butter and leave the dough chunky, and when you put half in the springform pan, don’t press it down real hard, just enough to level it up some. Then add your cheese mixture in the center and top with the rest of the chunky dough. I did add pistachio’s to the top of mine, mostly for presentation, but the saltiness did add another element to the cake. if you have any questions you can always email me too! I made this last evening. I noticed in the directions, it does not say anything about when to add the egg for the filling. thanks for letting me know, I’ll fix that, it should be added, while your mixing the ricotta and mascarpone together, so it blends smoothly. Wow! Great dessert/ looked exactly like the picture. Everyone had a great big smile after the first bite! glad to here it worked out! I made it with an apple filling instead of ricotta and it turned out great, I just increased the cake part by half. This is great advice, Chef. I so agree that we do need to not give up what we work so hard for just a few boxes of pasta or cookies. I cannot believe some of the things that bloggers will do for companies with no hesitation. This cheapens all of our work and makes it more difficult to command any kind of compensation for our efforts. I wish you all the best in 2012 and hope that your blog continues to grow!! thanks so much for the kind words, it was truly a delicious cake! I put pistachio’s on top as the garnish and actually added them about midway through the baking process so they would toast. The saltiness of the pistachio’s really added a nice contrast to the sweetness of the chocolate. This post came in at the perfect time. With the arrival of the new year, setting new goals, I know almost all the (food) bloggers set some goals for their blogs, may they be higher readership, better $ deals, more awards and the list goes on. I hope I’ll have as much fun blogging this year as much as i did in 2011. No fun = no blogging. This cake look so delicious, Chef! My grandma makes a cake very similar to this and it’s so good! And thanks again for giving us such great advice, this topic is very timely for me right now as I have been thinking about these exact things! That cake looks moist, delicious and marvelous. I happy to have an excess of ricotta right now, too 🙂 yay! This cake looks fabulous!! 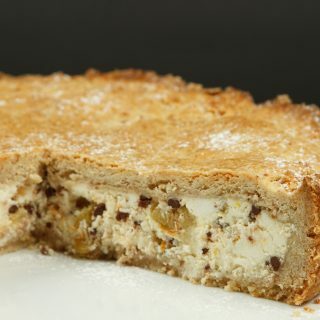 Something I would make…ricotta, chocolate and mascarpone…Yum! Thanks for a great recipe and a great post! Very inspiring! Happy New Year! This is excellent advice in such a timely manner, as always. There is much “food” for thought. Thank you for so much for this column, because I learn so much, every time I read it. I love the rustic look of this cake, and I’m sure that it taste as good as it looks! Excellent advice again Chef! You should compile all of these posts and publish a food bloggers guide book!! Dennis, that cake looks incredible and I can’t wait to try it out for myself. This is a very timely post – I suppose it’s natural to think of goals this time of year! This is the first year in a while that I’ve actually set myself “goals” and they are all to do with the blog. Some of them are private and I won’t discuss them, but they are there. There are others that I’m happy to chat about. My BIGGEST goal this year is to have FUN! I’ve been having a blast blogging, but I want to let a little more of ME shine through in my posts. Personal stories, a bit of humor, that sort of thing. I’ve had 4 posts in the New Year and two of them were the most fun I’ve had since I started! …and I’d like to grow – as I suspect everyone would. As for you wearing your chef coat: If you walked up to me and said, “I’m Chef Dennis”….prepared to be hugged and then I’d grab your arm and introduce you to Honey Bunny….even he knows who you are! Around here? You’re a household name! Thank you Akheela, Happy New Year! My mom always used to say, “If you don’t believe in you, who else will?” Great advice as always Chef! Before I even get to the cake part of this (she says as she wipes up drool from the keyboard) let me say that I loved the essay part of this post. Your words are helpful, as always and it’s great to hear form a blogger who has been doing this longer how to keep ones head out of the clouds while still not giving up the idea of being that “household name”. Thank Janet, it was a really good cake! Dennis, this ACD segment coud not have come at a better time—especially as we plot a course into a new year. Whether its making new goals or recommitting to existing ones, solid footing begins with the voice and being true to it. Thank Brooks! My ponytail days are long behind me….sigh, when I use to have hair! What’s not to love? This cake has everything I adore.. Can’t wait to make it! Thank you Janet, It was a really tasty cake, a great combination of flavors! I really like the “ask Chef Dennis” section! Thank you for your words of wisdom! Thanks Maggie, Happy New Year! I just wanted to say how much I value your “Ask Chef Dennis” columns. I always look forward to reading them! Thank you so much, it means a lot to me to hear you say that! Well said Chef! Another winning recipe…it looks to die for. I bet that ricotta gives that cake such a smooth texture! Thanks Raven, it was delcious! Thank you, Hopefully we will get to meet in person! Happy New Year! 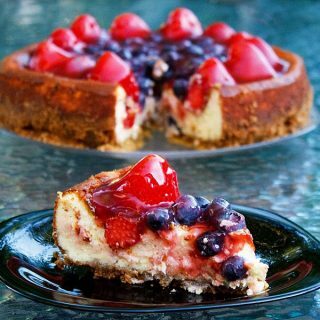 Oh I love ricotta cake!! This is one of my favorite Italian treats! I need to make this cake! Love everything about it, especially the filling. Great post, as always, Chef! This looks delicious! It is always nice when a recipe gone wrong yields something even better! My favorite kind of cheesecake………made with ricotta and marscapone. MMMMMMM! I will be contacting you, but real busy right now. Thanks Charlie, I’m here if you need me! Ricotta pie is my favorite dessert – but I’ve never had ricotta cake! Thanks Chef Dennis for expanding my dessert worldview. Ask Chef Dennis is required reading for all food bloggers. Every time, I get tips from your writing as well as the helpful comments. Keep up the good work! What a gorgeous cake! I love cannoli, but they always feel like too much work, so this cake sounds like a perfect compromise for me – all that delicious taste, and much less effort. 🙂 Filing this one away for a day when I want a nice cake for company. Another thoughtful post…I love what I do and I made so little $$, I recently took all ads off my site. It was a very liberating experience. Your ricotta cheesecake looks delicious…I like it so much better than cream cheese. Thanks Joan, I think if we did this just for the money, it would be a very lonely blogosphere! This cake looks and sounds so interesting! I’ve never used ricotta before but I’ve seen it in several recipes, so I know it must be great. And if you use it, it surely is 🙂 I pinned this recipe, can’t wait to try it! Another wonderful and helpful Ask Chef Dennis post and You are a household name in our house. Thanks and the cake looks heavenly. Happy New Year! Thank you Suzi! Happy New Year! Great message, Dennis. Also great way to use up extra filling! The cake looks delicious. LOVELY cake! I can only imagine how moist and fluffy the ricotta made it! And great ask Chef Dennis write up. I am ALL about setting goals and use the New Year (when I switched to WordPress) and my blogoversary as times to make ‘big’ changes and to reassess my goals. Thanks for being a great part of the community!!! Thank you Tiffany, I have been having a great time and have made so many good friends! No matter what you should always have fun, even if it is a business…but definitely ok to do it just for fun! This was a great read, leaving me with some important things to think about. Also, the texture of the cake does look amazing, well worth a try-Yum! Thanks Tina, it was delicious! Wow, Chef. That cake is so moist and tender, when I saw it at first I thought it was a cheesecake. You did find a massively wonderful recipe. Thanks for sharing it with us. You are so inspiring and uplifting. Thank you for your insight. And your cake looks incredible – absolutely beautiful picture. Happy New Year, Chef Dennis! I have been playing with some blog goals in my head but this definitely makes me want to sit down and draft some of them out. Your cake looks marvelous! The first thing I thought of when I saw the title was a cannoli cake. I gave myself a pat on the back when I was right. It seriously looks like a little piece of heaven. Oh my, what a delectable, moist yet crumbly looking cake! 🙂 Perfect. Thank you for your insights, too. I am definitely on the for-fun side of things, but there sure is time invested etc. Lots to ponder! 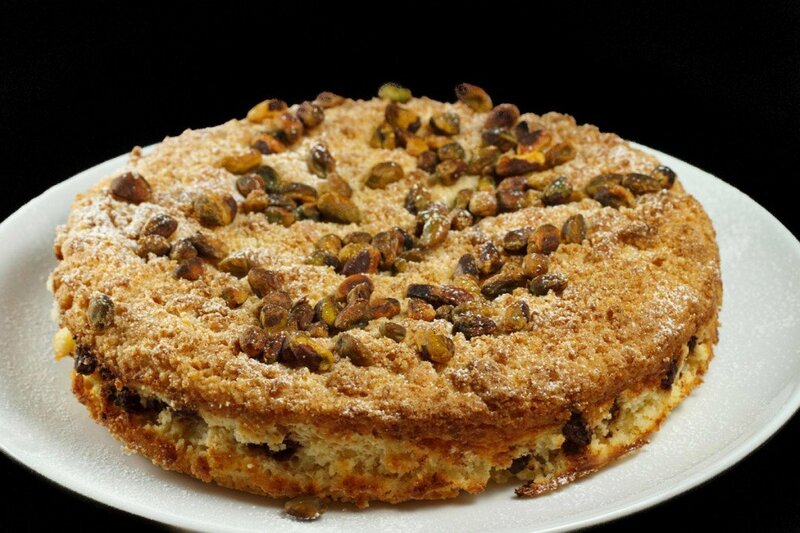 Dennis, what a delicious looking ricotta cake – I love the texture! As always, appreciate your words of blogging wisdom, too. I’m asking myself this right now, in fact, as I earn zilch from blogging and much that I’m having fun writing and taking pics, it’s ‘work’ and would be so good to earn a little something since earnings from being an author isn’t what it seems! Yep, let’s think goals in 2012! Thanks, Chef. Chef Dennis…thanks for another awesome post ! That is the reason why I am here…valuable advices and good food 🙂 May 2012 brings you to greater height as you enjoy your blogging 🙂 This cake looks delish ! Well said , Chef Dennis 😀 & your cake looks wonderful ! 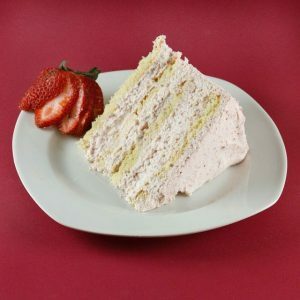 Chef Dennis – This cake is right up my alley! I love ricotta and mascarpone. Thanks again for the valuable and timely advice as we start a new year of blogging! It really hits home. Your cake looks wonderful, perfect with a cup of coffee:-) Thank you for your words, I agree 100%! First of all Happy New year! Your advice is helpful to new bloggers like me. I am not sure about other people but I started blogging when I did not find enough gluten free recipes on the internet for Indian cooking. Now, one of my husband’s friend was recently diagnosed to be gluten intolerant. When I gave his wife the white chapatti flour which I made it myself she was very thankful and asked for the recipe. That’s what I want from my blog. Viewership. Your ricotta chocolate chip cake looks so dense and beautiful. I love ricotta and mascarpone cheese. Awesome advice Chef Dennis! You’re totally right about everything you said; setting realistic goals, finding your voice, and placing value in yourself. Thank you for your words of experience and wisdom 🙂 And this cake looks amazing! 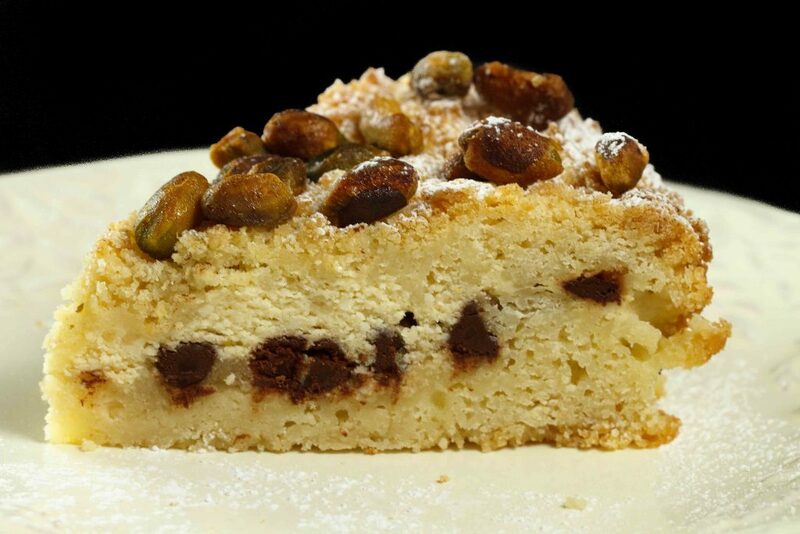 I love ricotta and combining it with chocolate chips in a cake is genius! Great words of advice, Chef. Back when I was working in higher ed with students I always talked about making SMART goals: specific, measurable, attainable, realistic and timely. I’m now trying to apply that to myself. For me it has also helped to have close (non-blogger) friends to keep my perspective balanced. I recently lamented to a friend that I wanted to have a specific (lofty goal) number of readers and was down that I didn’t. She reminded me that when I started I was hoping for ANY readers and now I had more specific goals. It was excellent perspective. I definitely find your posts helpful and I agree – we need to value ourselves for others to find value in us. As always, well said, Chef!! And a gorgeous cake photo to boot!! Happy New Year! !